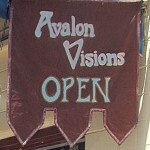 Come join us at Avalon Visions Center for Creative Spirituality. Avalon Visions is grateful to have now settled into our location at 2815 Porter Street, in Soquel, CA. We have expanded our groups and classes, and other events. 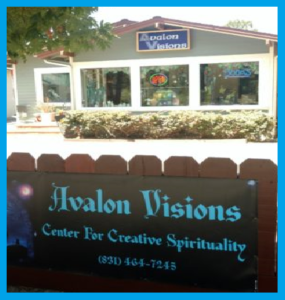 We have private and separate rooms for both readings and healings and a community room for classes, Meet-ups, and special events. Everyone who comes into the shop now loves our new location. We have a great and upbeat vibe that seeps into every nook and cranny of the shop. Our focus is now on the functioning of our center. The gift shop, as always offers great treasures for those seeking terrific and unique spiritual gifts. Beginning March 24, 2019, come and join us on Sunday mornings at 9:30 for our Creative Spirituality fellowship circle. Get in touch with your loving and kind higher self while you experience your own light and create your own community. Tap in and join in! Check out our YouTube Channel for quick instructions on various topics.